In a world where athletes are analyzed for everything they do in the game, Ken Dryden became truly iconic for everything he did away from it. The former Montreal Canadiens goaltender and six-time Stanley Cup champion has enjoyed great success in the fields of athletics, management and politics, as well as other professional endeavors. But the Hockey Hall of Fame member might still be best known for "The Game," his stirring recounting of his final NHL season. A special 30th-anniversary edition of the book was published by Triumph Books this year, causing Dryden to reflect on a work he hadn't revisited in many years. "I hadn't read it since I first wrote it. I read it in order to get a better feeling for it to write the new last chapter. There were a lot of things in it that I hadn't remembered," Dryden said. "I always find it hard to read what I've written. I don't do it because I find it too frustrating, seeing things you don't want to see and things you want to fix. But I had to this time. I actually enjoyed doing it." When it was originally published in 1983, "The Game" was a first-of-its-kind narrative, a glimpse inside the locker room of a Canadiens dynasty that won the Stanley Cup six times in nine seasons. Dryden pulled back the curtain and shared a unique perspective on some of the game's great characters, including fellow Hall of Fame members Guy Lafleur, Larry Robinson and Guy Lapointe. The book isn't simply an ode to the sport of hockey. It's a comprehensive breakdown of what drives a player day in and day out, especially once that player has done everything there is to do in his or her sport, like Dryden had clearly done by the time he started writing. Dryden's explanation behind his surprising decision to leave the game at 31 years old is what drives this story. Essentially, "The Game" is about the game each athlete plays in his own head. As Dryden famously put it in his book, "For a goalie, the biggest enemy is himself." That unique take on sport is what makes Dryden's book a classic. "I remember saying to myself, 'If I'm going to do this, I can't make myself the hero of all my own stories, and I have to be willing to be as revealing of myself as I am being revealing of others,'" said Dryden, who admitted to being nervous about how his teammates would respond to the book. "What I wanted more than anything is that teammates, if they were to read it 10 years later or 20 years later, would nod their heads a lot and recognize the moments. There would be enough common ground in that way that they would see themselves in it." 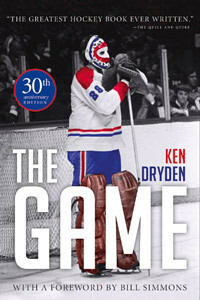 Dryden's memoir of his final NHL season is a capsule capturing a unique time in League history, and the stories he shares in "The Game" have endured for three decades. 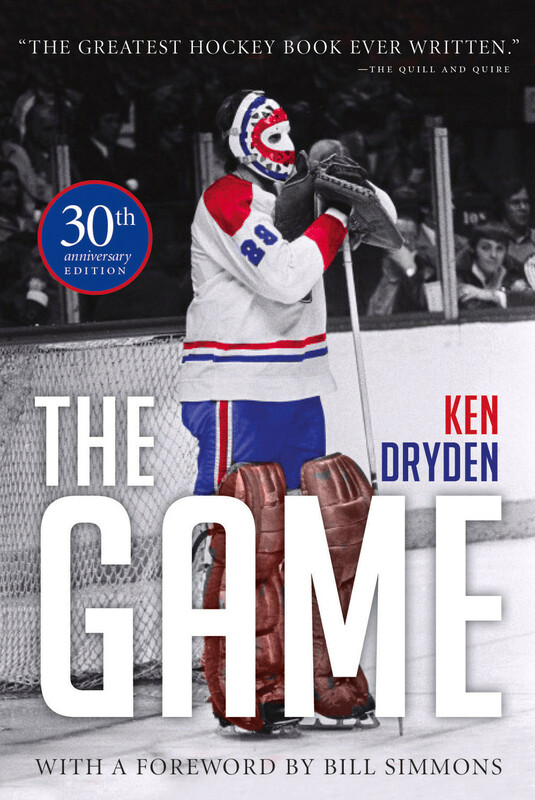 The 30th anniversary edition of "The Game" is special because it includes a new chapter in which Dryden recounts his day with the Stanley Cup on Oct. 14, 2011. The tradition of each member of a championship team spending a day with the Cup did not yet exist during Dryden's playing career. So when he finally had his time with the most storied trophy in sports, Dryden wanted to share it with readers. "You have pretty good answers when you're 25. But even better answers when you're 64. It was a great chance and just fun to write about."